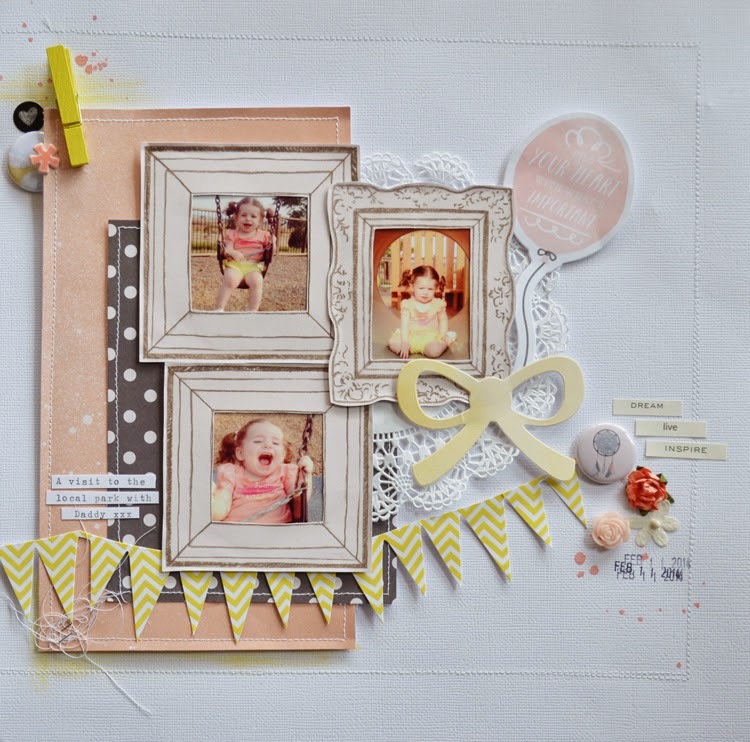 I'm here to share a layout I did for the March Challenge over at 123 Challenge. 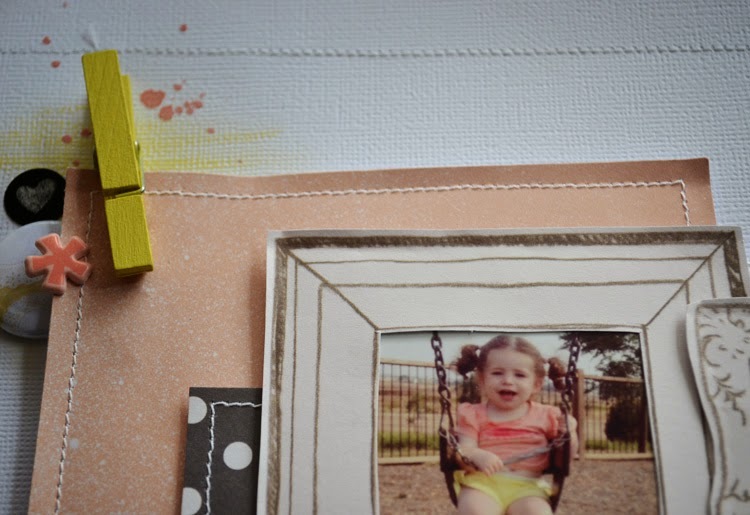 This layout was right up my alley with the colour palette as I am a big lover of pastels. 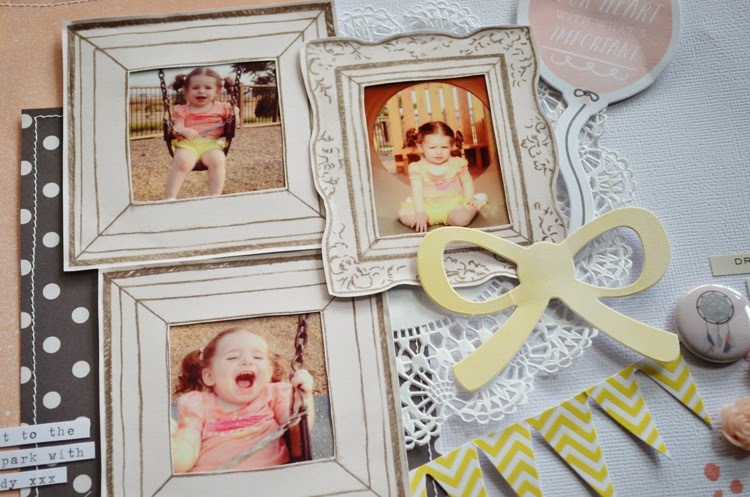 I used a gorgeous Dear Lizzy paper for the frames which I fussy cut, cut out the inner piece and placed my photos behind. I have also used 2 A Piece of Cake Designs Cherry flair and lots of coordinating goodies from my stash. 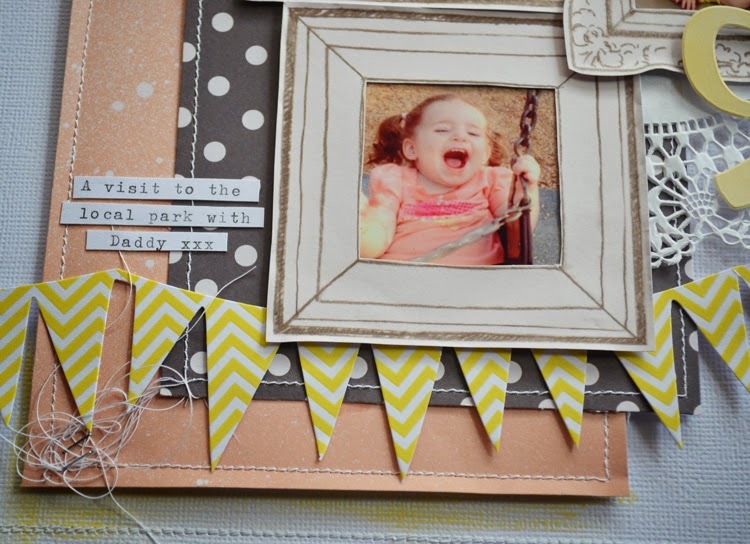 The layout is all about my little girls trip to the park with her Daddy, he took the photos (which I love).